Canada waterfalls aren’t they beautiful? 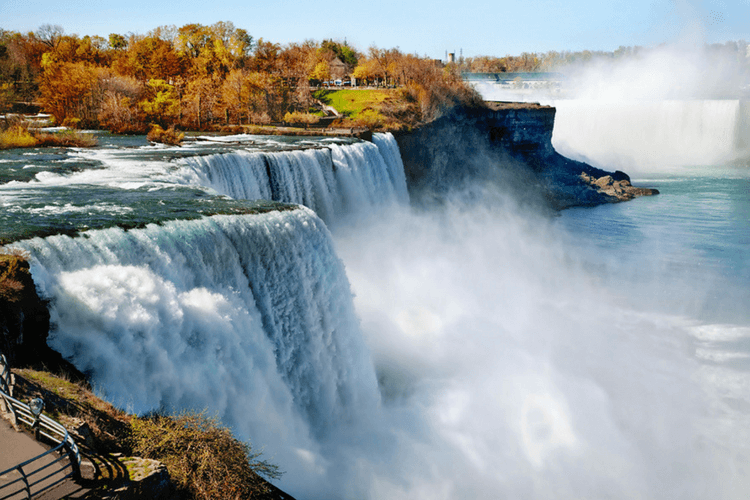 While Niagara Falls gets all the attention, which it surely deserves, there are a number of other waterfalls that you should visit. Considering the size of Canada, visiting all these waterfalls in one trip may be a bit difficult. 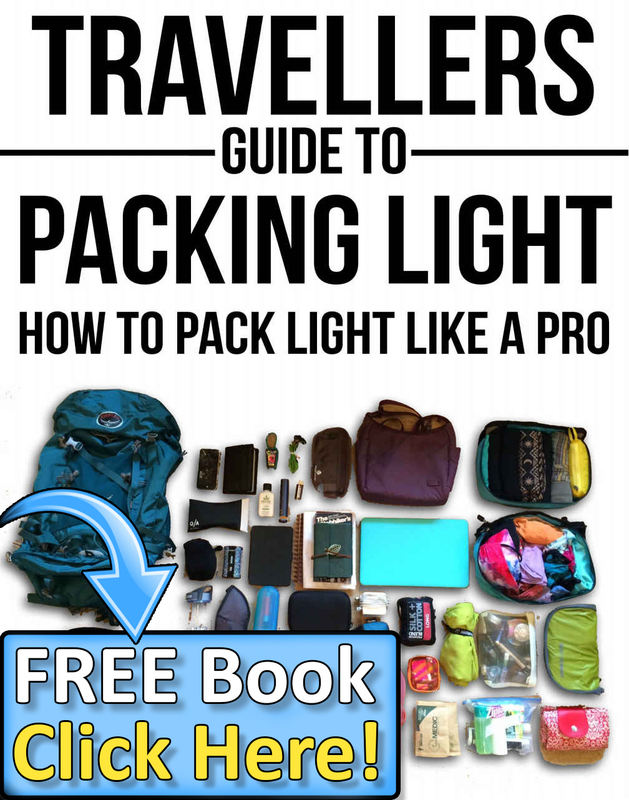 However, you can plan your itinerary in such a way that you get to visit as many waterfalls as you can. Visiting Canada waterfalls with your family can be great idea to unwind and marvel at the majestic beauty of Mother Nature. 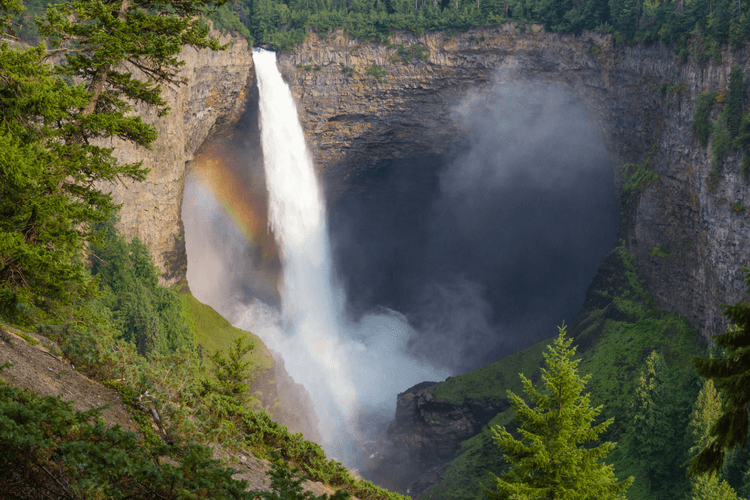 Family vacations in Canada will be a memorable experience after visiting these top 10 Canada waterfalls. Niagara Falls in Ontario – a sight so mesmerizing that you can’t help but wonder how beautiful Mother Nature’s creations are! Niagara Falls can be viewed from both the US and Canada. While the jury is still out on the better view, Niagara Falls should be your first waterfall destination if you are visiting Canada. Options abound if you want to take a close look at the falls. You can either book a cruise which takes you up close or hop onto the Niagara SkyWheel for a mesmerizing view. It is natural that you would like to spend as much time admiring the beauty of Niagara Falls. However, you can plan your day in such a way that you enjoy the other tourist attractions. 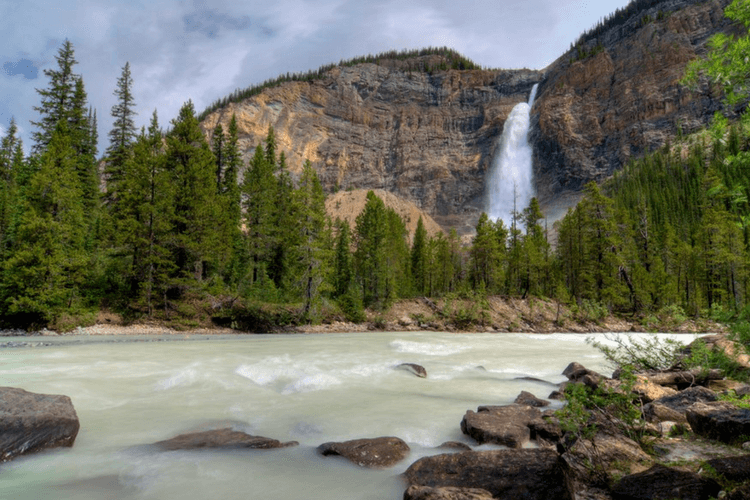 One of the most awe-inspiring waterfalls in British Columbia, Takakkaw Falls are part of the Yoho National Park, a beautiful attraction which offers visitors a peek into ancient forests, rivers, and mountains. If you are visiting Canada with your family, a trip to Yoho National Park should be in your itinerary. Takakkaw Falls have a free fall of around 850 feet, and the fall can be viewed at the end of the Yoho Valley Road. 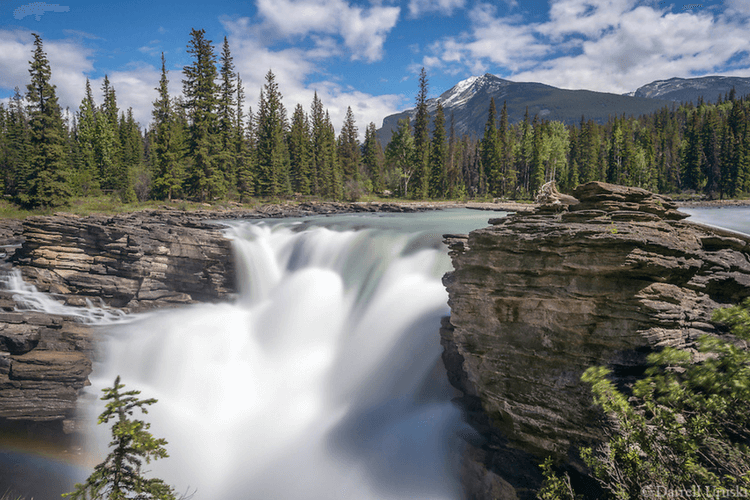 Alberta has many beautiful falls, and Athabasca Falls are among the most beautiful. Located at the Jasper National Park, Athabasca Falls offer visitors splendid views of a free fall, sweeping through valleys and ridges. If you are planning to visit Canada during the New Year’s Eve, you may miss out on the falls as they often freeze during the winters. However, you will still find ice-climbers making their way up the frozen incline. Lady Evelyn falls aren’t known for the height of their free fall, they are known for their perfection. One of the best waterfalls to visit if you are traveling with your family, Lady Evelyn Falls in Northwest Territories are amazing and simply worth the time. 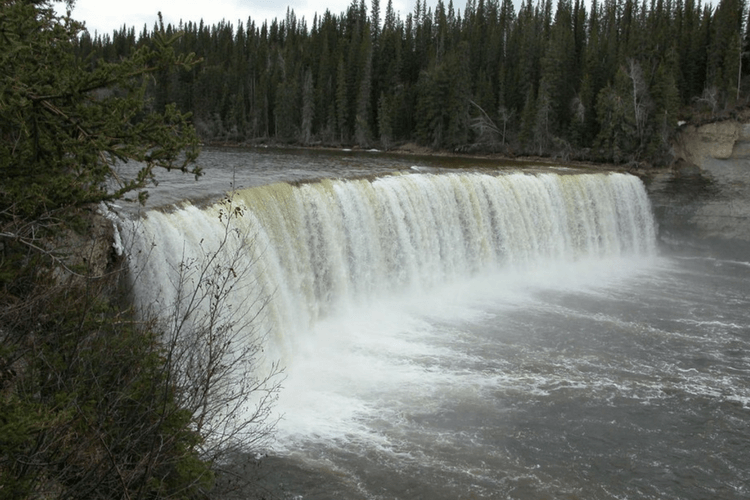 Northwest Territories also have the famous Virginia Falls, but considering its isolated location and arduous trek, it’s better to visit it when you are traveling solo. 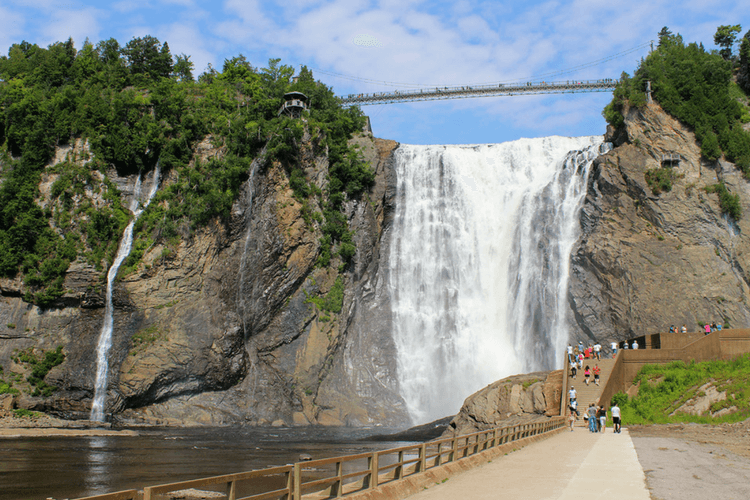 Montmorency Falls in Quebec are a hit among family vacationers due to their proximity to the city. 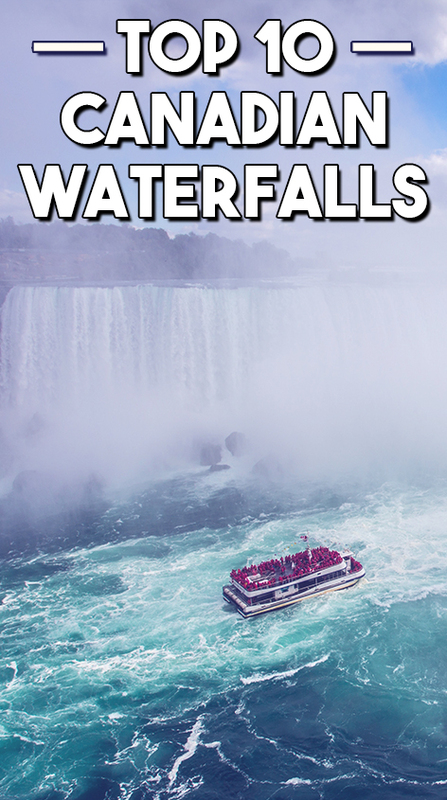 The fact that these falls are easily accessible by road and have a free fall of nearly 275 feet attracts tourists from far and wide. During the winters, these falls freeze, but you shouldn’t be disheartened because they become even more mesmerizing when they are frozen. 1 Comment on "Top 10 Canada Waterfalls for a Memorable Family Vacation"